Set the stage for a memorable evening with a sensual fragrance from the legendary Diana Ross. The soulful scent transports your senses to a golden time while evocative notes remind you that there is no time like the present to make a memory. Spotlight, please. Ingredients: Alcohol Denat., Parfum (Fragrance), Water/Aqua/Eau, Hydroxycitronellal, Citronellol, Geraniol, Coumarin. 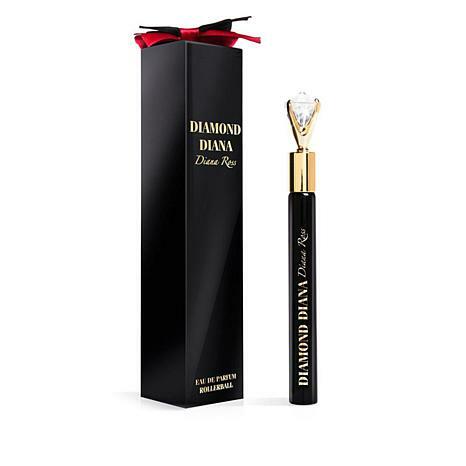 Diamond Diana Ross Parfum is new different & refreshing. I didn't know Diana had a perfume, I hope she makes more. Nice size I can keep in my small purse. I purchased the roller ball the day this first aired. At first, I thought it smelled like a mens cologne. But as the other notes came through, it was a beautiful experience. I am now addicted to Diamond Dianna. Whenever I wear this, my dog climbs upon my lap and sniffs my wrists until she falls asleep. Guess she loves it too. 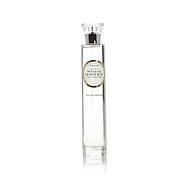 I hope HSN continues to carry this lovely perfume. I wasn't sure of buying perfume without trying it first, but the money back guarantee can't be beat. I do really like this scent. It is a stronger scent, but not overwhelming. Very feminine. The scent doesn't last as long as some perfumes on me, though. This is really cute. But most importantly, it's a convenient parfum rollerball. The fragrance is pleasantly sweet. Love the packaging/bow. Such a nice complement.I also have the Eue de Parfum that has a diamond shape top. Also in a really elegant package/box.